Mug muffins are awesome. Lava cakes are awesome. 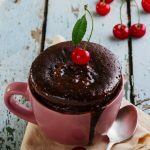 Put them together using healthy ingredients and you have a super awesome recipe that is healthy and decadent enough to double as both a muffin and a cake! My girls absolutely adored this and begged me to let them take it to school, which I couldn’t do since it does contain nut butter in it. The nut butter combined with the date paste is also what makes it so damn moist and gooey. 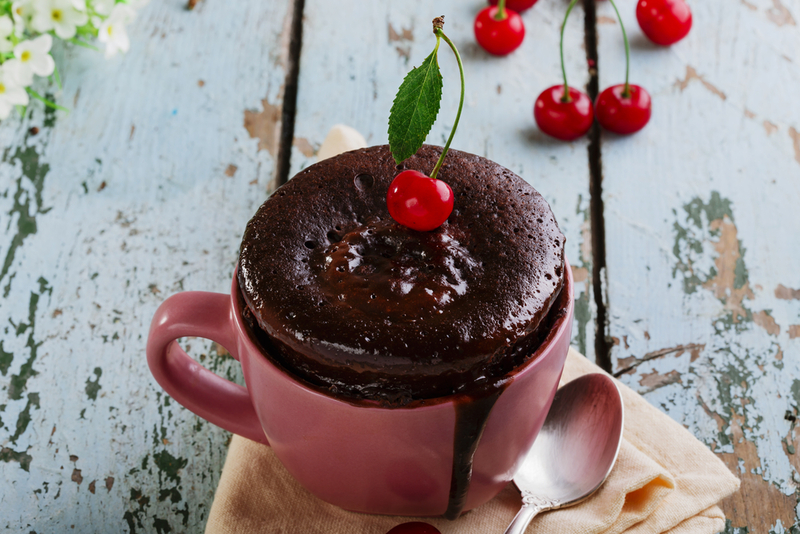 Now one thing before you start…make sure that you don’t overcook it or else you will lose the gooey lava part of the cake and it will become too dry. So stick to the plan, Stan. Now go on and give it a try, I bet you’ll love it! Mix all ingredients except the chocolate chips together until completely combined. Microwave for 2 minutes 30 seconds. The muffin will look a bit wet and gooey but that’s the way it should look. Leave on counter for 2 minutes to cool and set. If eating out of the mug, enjoy, or use a butter knife to release sides of the mug muffin and turn the mug upside down and gently shake it free of the mug into a plate. Serve with some coconut whipped cream and a cherry. Hey Michelle, do you think this could work subbing aquafaba for the eggs?